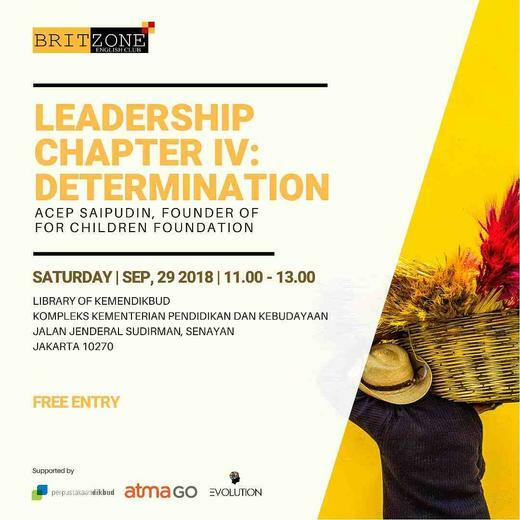 "Leadership Chapter IV: Determination" by Acep Saipudin, Founder of For Children Foundation. Everybody dreams, but people need to take action to take the opportunities. Having determination keeps us in control and motivated to work on our long-term journey. When we are truly determined, we don't let anything stop us. Let's together spread the power of determination and make our dreams come true.